Cullens provides house clearances across London and Surrey plus you can also combine our house clearance service with our deep cleaning and probate services. 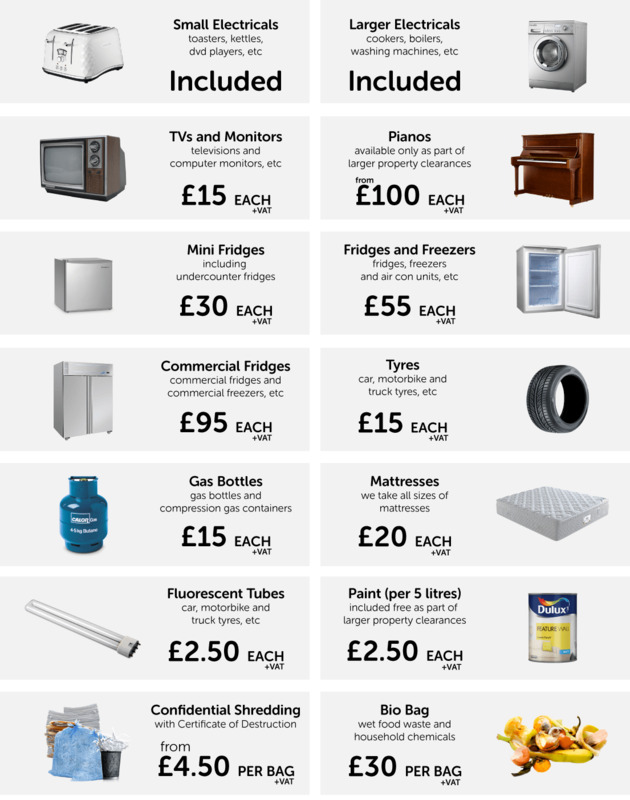 Below are our house clearance prices and if you have any additional question do not hesitate to call our freephone number 0800 033 7930 or email us at info@cullensclearances.co.uk to talk to our team. We are here to help. 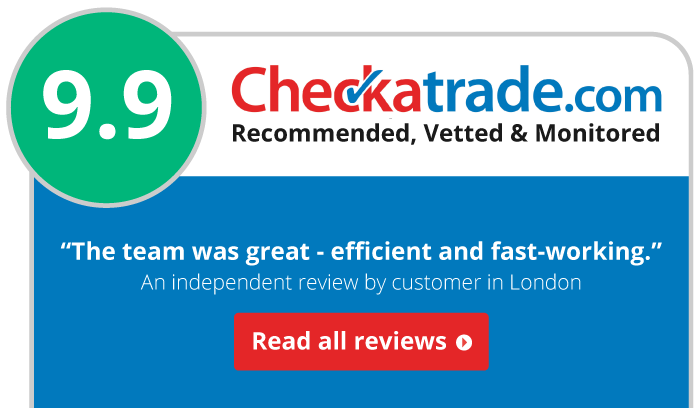 Get a free instant online estimate for your house clearance right now. So, how much does house clearance cost? Well, we have a simple price list for you below to make this whole process as simple as possible. If you need a custom estimate then please do not hesitate to get in touch with us and we'd be more than happy to help. Here are list of the most frequently asked questions about our house clearance prices, costs, and charges. If you have any other questions please do not hesitate to contact us here at Cullens. We're happy to help explain our pricing and specific questions, such as the cost of house clearances. Can you provide an accurate price for my house clearance? Yes, we can provide you with an accurate price for your house clearance. The more information we have the more accurate we can be. When contacting us, if you provide a list of the items you need cleared, a photo of the items or rooms that you need cleared, and any other details such as accessibility and parking. We provide on-site quotations for larger jobs to provide an accurate estimate. All quotes, quotations and estimates are subject to change dependent on the items that need to be cleared on the day. Our quotations team are experienced and accurate in determining the right estimated cost of your house clearance. How much should a house clearance cost? Thank you for your question. All companies charge different prices for house clearances. Here at Cullens, we charge mainly on the volume of items cleared. There are supplementary charges for some items that incur additional disposal or recycling costs - please see our supplementary price list above for those charges. What are your house clearance prices? How much does house clearance cost? 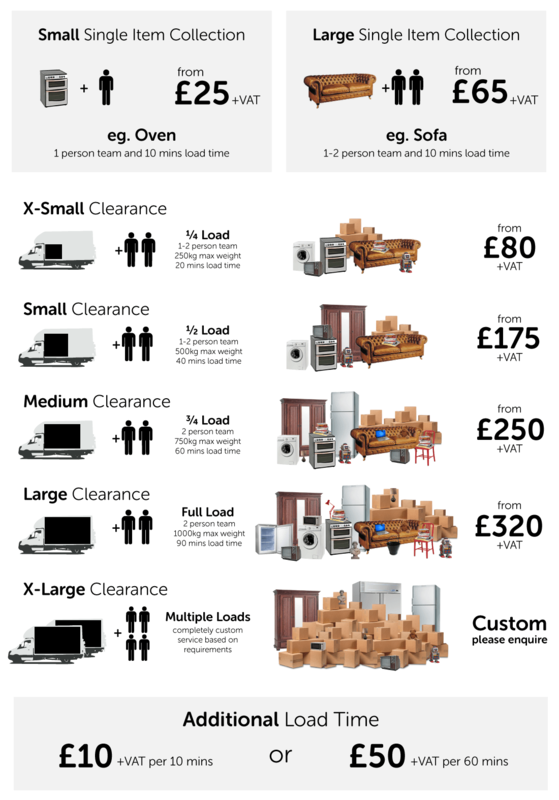 Do you charge VAT on your house clearance prices? Yes, all our house clearance prices are subject to VAT at the standard rate. All prices shown are excluding VAT, unless otherwise stated.